Easily fit items to a shift selected curve path. You can arrange items along the path in many ways. 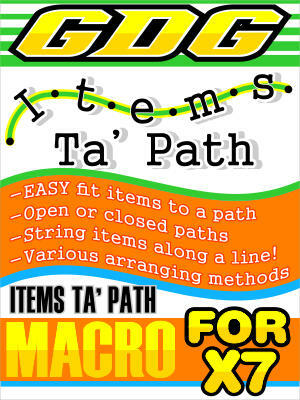 Also the ability to string items along a linear path you make using 2 clicks of the mouse. This is the X7 version.